What is the difference between accrual and cash basis accounting? For many small businesses, the consideration of whether to use cash or accrual basis accounting never even comes up as the difference between them is unclear and they leave it up to their tax accountant to decide. However there are significant advantages and disadvantages to each which should be considered not just for tax purposes but for managing the business and evaluating performance. Lets start with the definitions. In short, if you are tracking things on a cash basis, you report on the transaction when money actually flows into or out of your checking account. For example, you record income when you get paid by your customer and record an expense when you pay a bill. Alternatively, on an accrual basis, you would report on the transactions at the time the effort happened. So for that same example, you would record income when you created the invoice for the customer (as opposed to when they paid it) and you would record an expense with the date the bill was issued to you (as opposed to when you paid it). So why would you do one verses the other? You might actually do both for different purposes. From a tax standpoint, if your customers don’t pay you immediately after services are rendered you will carry accounts receivable. If you are reporting your taxes on an accrual basis, you will be paying taxes (including potentially sales tax) on money that you have not yet received. 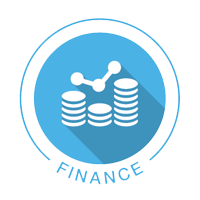 Depending upon the size of your accounts receivable, that could be a significant cash drain on the business. However, if you are trying to evaluate the performance of the business with regard to growth, profitability, or other key performance indicators, recording transactions when you had the cash to pay them or when your customers decided to pay you could give you a tainted view of the actual performance. In this case you might want to use an accrual accounting method to properly match income to expenses at the actual time they were incurred. One of the great features of QuickBooks if you are using it is the ability to switch reports between a cash and accrual look a the numbers so as long as you are entering transactions “real time”, you can see how the different methods affect what you see in reports. It is important that you discuss this topic with your business strategy advisor and tax accountant to determine what is right for your organization as your particular situation will drive these decisions. This entry was posted in *All Posts*, Accounting, Efficiencies, Financials, Getting Started, Information Technology, Management. Bookmark the permalink. good review! Although, I just switched from the desktop version of QB’s to the online version and am very disappointed. I’m not sure why the platforms are so different. And i find the online version much less intuitive, even for simple tasks like custom reports.